No matter what your age or physical ability, Krav Maga was designed to bring you to a high level of proficiency quickly! Now Krav Maga is the most practical, fastest-growing self defense system in the United States, used by hundreds of U.S. law enforcement agencies and military units, and practiced by thousands of adults across the country. 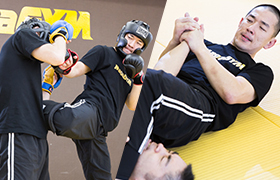 In 2003, Krav Maga school opened in Japan, and there are already thousands of civilians who have trained Krav Maga in Japan now. 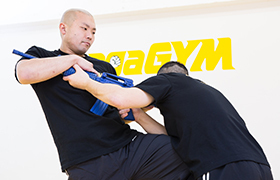 Krav Maga’s training methods and games create a fantastic fitness workout you’ll love. You will increase your endurance, stamina, strength and flexibility. Your ability to keep an increased heart rate will improve; you will breathe better; you will sleep better; you will even feel an increase in energy all day long. 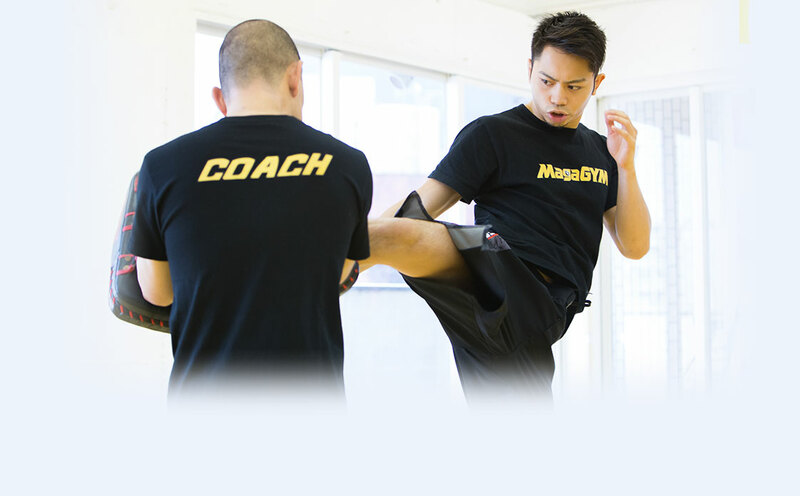 Krav Maga is very famous for tremendous fitness method to get in shape. 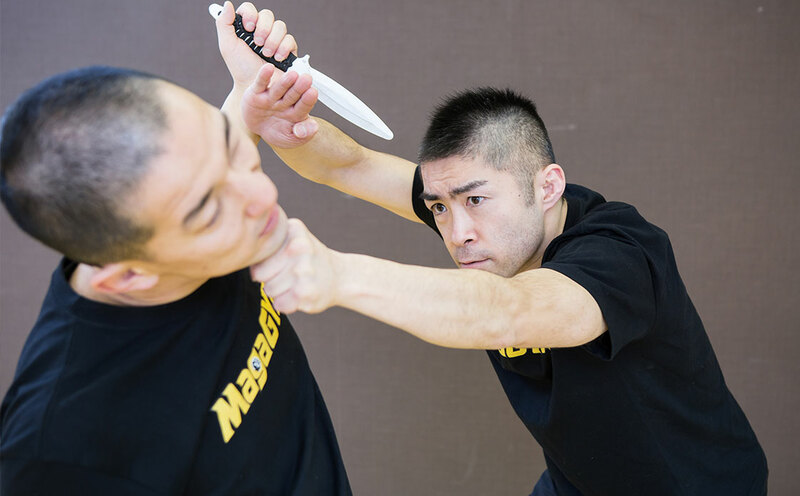 They are very friendly, but their classes are very aggressive and practical.Our training class provides you great benefits, including "realistic self-defense training" and "efficient fitness workout". 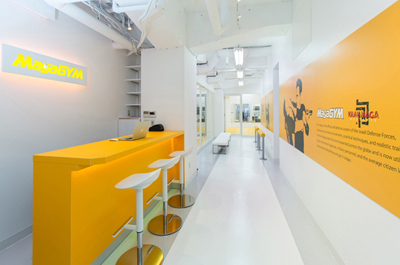 Our gyms are located in the middle of TOKYO, ROPPONGI and AKASAKA. 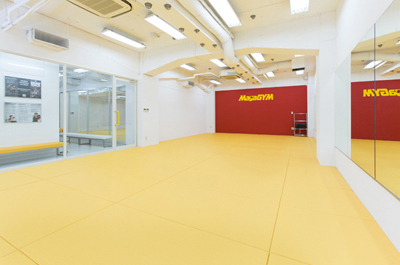 We welcome all the people from outside of Japan, regardless of martial arts experience. 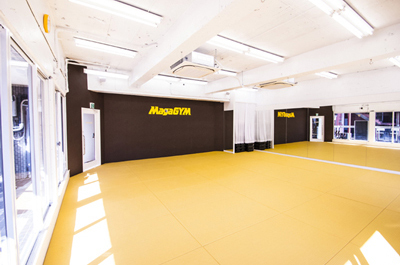 Just visit us, and watch and try Krav Maga training with us !! We have various kind of classes. Click here to see the class descriptions. 60 minutes Krav Maga entry level class. 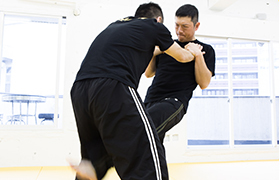 We teach various combative and self defense techniques in this class, but we always focus on its basic movement. All the students will learn the principle of Krav Maga, including the importance of "being aggressive" in dangers. 70 minutes Krav Maga intermediate level class. 70 minutes Krav Maga advanced level class. Students put head gear, shin guards, sparring gloves, and do lots of self defense trainig with sparring. This is the most realistic self defense training. 50 minutes Inner muscle training class. 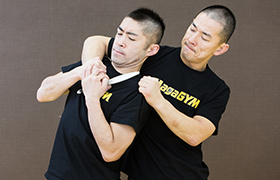 This class will build up physical strength of students that makes the performance of Krav Maga better. 60 minutes heavy bag intensive workout that combines fitness and fighting. Students will strike punches and kicks on the heavy bag so many times, that includes lots of challenging combos. The focus of this class is to emphasize muscular strength and cardiovascular endurance. This is one of the most popular class, and it will make you get in good shape, makes your body strong, as well as your character. 50 minutes Combative training including punches, elbow strikes, kicks and knee strikes with various combos. 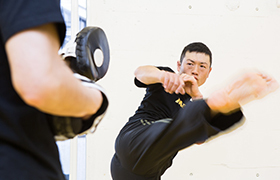 This class is good to get better strike skills, as well as to increase endurance, stamina and strength. 60 minutes Krav Maga self defense training against various weapon attacks. Students will be attacked by knife, stick, hand gun and long gun, and will learn Krav Maga's modern self defense techniques that work in such dangerous scenarios. **This schedule is valid from January 5ty, 2019. **MagaGYM opens 30minutes before the first class starts, and is closed 30minutes after the last class ends. **Students are allowed to take two classes in a day. If they take more than 2 classes in a day, they will be charged ¥500 per class. **Last 5 minutes of each class should be used for asking questions to instructors or cooling down. **10 minutes breaks are put between 2nd and 3rd class of night time or weekend schedule. **Students are allowed to join classes 10 minutes late, only when they have to switch training room. For example on Saturday, it is possible to take 10:30 KM2 Workout and 11:30 BAG Workout. **If a grid includes two name of classes separated by / , each will be alternately held every other week. **"BAG TRX" class includes both of heavy bag workout and TRX strength training in 60 minutes. **Students are allowed to join only 1 class of KM2 on Wednesday night or Saturday. **MagaGYM opens 30minutes before the first class starts, and is closed 30 minutes after the last class ends. **Students are allowed to take two classes in a day. If they take more than 2 classes in a day, they will be charged 500 yen per class. Standard members can take classes 14 DAYS IN A MONTH. 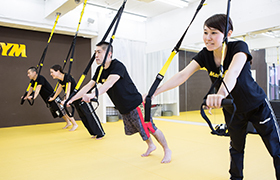 Light members can take classes 5 DAYS IN A MONTH. 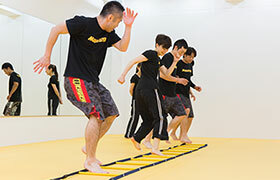 Day Time members can take daytime classes everyday from Monday to Friday (2 classes in a day) except national holidays. Daytime classes are shown inside the blue line of the Class Schedule. Try us out first!! 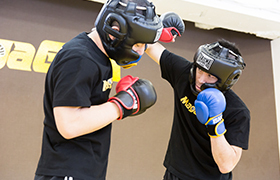 The best way to learn about Krav Maga is to take a trial class. You can chose KM1 or BAG Workout as your trial class. We will charge you 2,000 yen per a trial class, however, if you sign up the membership on your class trial day, we will give you either of following gifts. You can apply a trial class online, or call us !! How did you know MagaGYM? a worldwide organization of high-level Krav Maga schools dedicated to constantly improving Krav Maga teaching and training. © MagaGYM All Rights Reserved.